Trending at $149.94eBay determines this price through a machine learned model of the product's sale prices within the last 90 days. It will not work with CDMA carriers like Verizon, Sprint, etc. 16GB of internal storage cannot be expanded. Need help?. It will not work with CDMA carriers like Verizon, Sprint, etc. 16GB of internal storage cannot be expanded. Trending at $131.97eBay determines this price through a machine learned model of the product's sale prices within the last 90 days. Item for sale is a NEW in box Apple iPhone 6s 16gb in Space Gray. Item for sale is a NEW in box Apple iPhone 6s 16gb in Gold. Will work on ANY GSM NETWORK. IPhone 6S 16GB - Space Gray. GSM Unlocked . Ready for use on Verizon. Ready for use on the Verizon network or any GSM network in the U.S. or worldwide. Will not work with other CDMA networks such as Sprint. Trending at $154.99eBay determines this price through a machine learned model of the product's sale prices within the last 90 days. Item for sale is a NEW in box Apple iPhone 6s 16gb in ROSE GOLD. iPhone 6S 16GB memory, Rose Gold. Always kept in a case. Very clean phone but does have a small crack lower right as shown in pic. 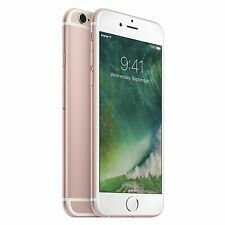 Apple iPhone 6s - 16GB - Rose Gold (Unlocked). 90 Day Warranty through Boost Mobile!!! Condition is Used. The phone doesn’t have much for scratches and does have a liquid screen protector installed. The protector has a couple very light hair line scratches. Other than the battery issue the phone is great. 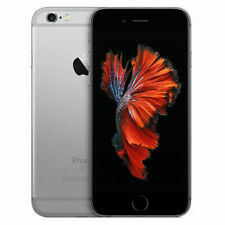 New ListingApple iPhone 6s - 16GB - Space Gray (Verizon) in Excellent working Condition. Apple iPhone 6s - 16GB - Space Gray (Verizon) It’s been in an Otter Box it’s entire life with a screen protector. Phone only no accessories. No scratches cracks or damage on the phone. It’s a Verizon version. 4.5 out of 5 stars - Apple iPhone 6s - 16GB - Space Gray (Verizon) in Excellent working Condition. 107 product ratings107 product ratings - Apple iPhone 6s - 16GB - Space Gray (Verizon) in Excellent working Condition.